Chancellor Stan Oakes once expressed a desire to see The King’s College as an institution where, if the school ever left New York City, people would notice its absence. I found this idea very convicting, especially for Christians. To be salt and light in the world means to leave nothing we touch unchanged. However, I don’t think we are there – at least not yet. We have made significant strides toward this goal with programs like the King’s Debate Society and City Engagement. Despite our achievements, however, this is not the time to become complacent, to celebrate the first step without taking a second one. And what is the second step? Get out. This means getting out of the college and into the world. This means wrestling with ideas that come out from other institutions. This means student representation at events like Socrates in the City, poetry slams, and business conferences. In order to “get out," we must embrace the crucial first step that enables students to think well, write well, and speak well. That is education. An education forms and shapes us into whole people, people who can unify head, hand, and heart. To love knowledge for knowledge’s sake produces a kind of excellence that seeks to create a world of shalom, a world of wholeness. But the idea of “get out” includes more. It also calls us to action. Action ultimately ought to connect the head and heart with the hand. In the past, we have had opportunities with City Engagement and International Ventures, organizations that we must continue to grow. At the same time, we also should pursue “idea engagement” at King’s. This means collecting and publishing material like senior theses, faculty articles, and Interregnum art. We should also engage other schools about educational philosophy, economic thought, and first principles. This allows us to proverbially practice what we preach. To accomplish this, we have to work together. It means not just a Student Body President dictating from the top, but an organization that moves forward together. In the words of the ancient Chinese philosopher Lao Tzu, “A leader is best when people barely know he exists, when his work is done, his aim fulfilled, they will say: we did it ourselves.” If I desire to serve in this position, I also need to “get out” into the city. I don’t want to be a leader that does not live out what he aspires others to do. Rather, I want to set measurable goals for us to work towards together. Practically, this means policies like efficient meetings and a House emphasis on engagement in the city. It requires that student leadership listen to concerns from the student body and act on them. Instead of laying out new visions or policies, it means executing our vision well. To do this, I want to hear your thoughts, concerns, complaints, or questions. With this one simple idea – “get out” – applied and implemented throughout The King’s College, I have no doubt that we can achieve excellence. 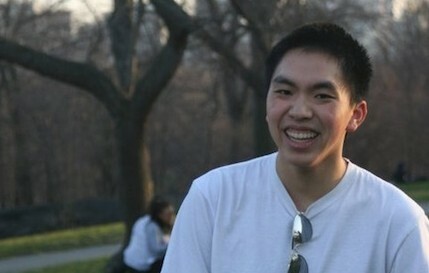 Sam Tran is a sophomore majoring in Politics, Philosophy and Economics and is in the House of Bonhoeffer.